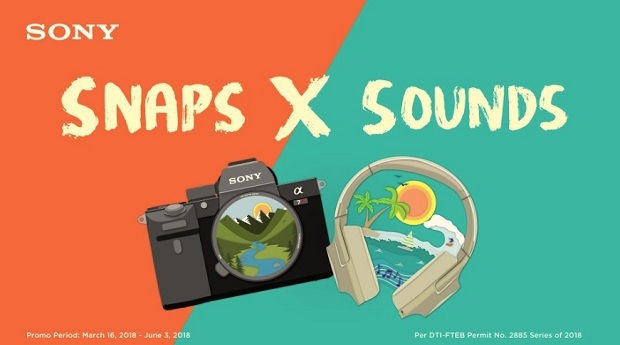 Get your hands on the latest Sony cameras and personal audio products, plus score discounts, freebies, and more! Sony is giving away exclusive discounts, freebies, and 0% interest payment terms on selected Sony cameras, headphones, and more from March 16 to June 3, 2018. Check the details below for great item deals and promo coverage. Equipped with top-of-the-line technology to ensure optimal resolution, dynamic range, and fast processing speed and shooting response, Sony’s a7 series full-frame cameras are some of the top-of-the-line in the market. Enhance the mirrorless experience by matching it up with a wide range of lenses that fits the different needs of photographers. Likewise, Sony Cybershot camera models are perfect for the practical travelers. Handy and easy-to-use, these cameras are your no-fuss and go-to partner in taking quick snaps. For those who enjoy the outdoors and live a truly active lifestyle, the Sony Action Cam is the ideal choice, with its true-to-life quality videos powered by 4K Ultra HD recording and balanced optical steady shot. It is waterproof and can take great shots even at lowlight conditions. Discounts for selected Sony Alpha series cameras, ActionCams, and Cybershot camera models are up to ₱15,000 off or at 12-months 0% interest. Score camera lenses with discounts of up to ₱7,000 or at 6-months 0% interest. Sony Personal audio products offer only superb sound quality, regardless of one’s needs. Jetsetters will enjoy high resolution audio from the WH-1000XM2 with its adaptive sound control and atmospheric pressure optimizer; packed with 30-hours of battery life, the 1000XM2 lives up to its name in being one of the top guns in noise cancelation. What are you waiting for? These Sony products and more can be availed with discounts, installment deals, and freebies for a limited time only.